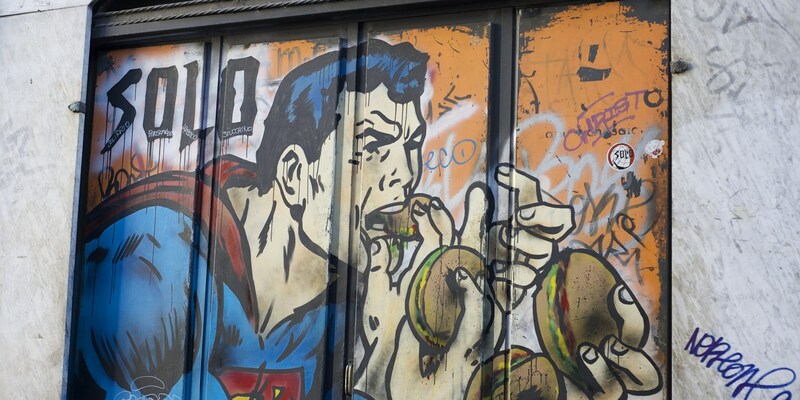 Chris Osburn serves up a fresh slice of the amazing street food he discovered on his recent jaunt to Rome. As is the case throughout Italy, I’m sure that Rome has an excellent restaurant and fine dining scene. However, despite having travelled there a number of times, I can’t seem to get past the phenomenal pizza and street food. 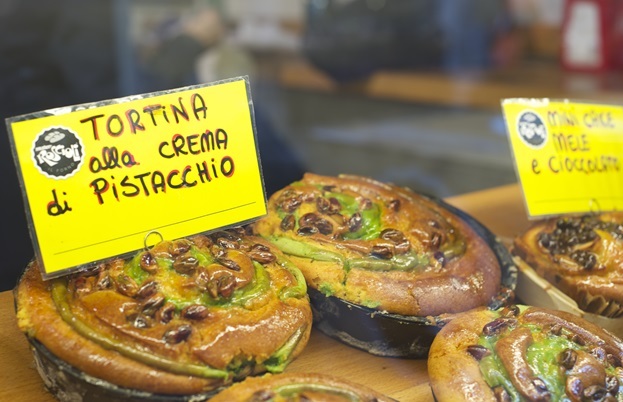 For budget bites while seeing sights, there’s possibly no better destination in Europe than the Eternal City. 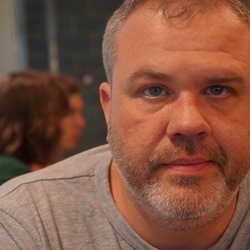 All those museums, churches and such in Rome? Each one is a marvel to behold, but when I’m getting my holiday on they seem to be there for me to merely pass time between meals. Of course, I’m being facetious (but only just). Rome really is a delectable town, and even without its many magnificent attractions and bounty of World Heritage sites, I’d still crave continual repeat visits for the food alone. As it is though, a stay in Rome presents a weird dichotomy. The cityscape, the reasons tourists from across the globe snap a zillion photos (I’ve never seen more selfie stick action than when I was there a couple of weeks ago), the mindboggling multitude of opportunities to ogle art: that’s all grand, massive, Baroque, over the top stuff. But so much of the food is basic, made of minimal ingredients and served in humble, quaint settings. Imagine exiting a ginormous ancient church, jammed full of treasures from the Pax Romana to the Renaissance, through an excessively oversized door and onto a cobbled street. Dip round the corner and stoop your head at the entrance of an antiquated and dinky pizzeria, with an age-old wood-fired oven that’s been dishing out edible treasures for decades, possibly centuries. That’s how the Romans appear to do it, and who am I to attempt anything different when I’m on their turf? 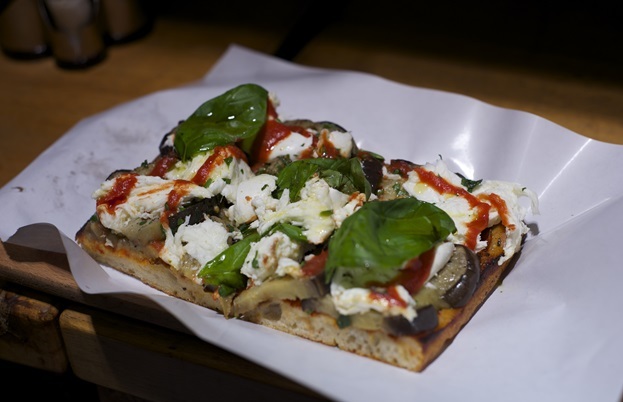 To buy a rectangular slice of pizza over the counter al metro and have it doubled over like a sandwich to be eaten caminando (while walking) is as Roman as it gets – and very street indeed. The best slices had during my trip were at Antico Forno Roscioli (Via dei Chiavari, 34). A usual suspect for any list of the city’s best (and oldest running) pizzerias, Roscioli is located in the neighborhood of Campo de’ Fiori (not far from a couple of other contenders for ‘best’ and ‘oldest’ pizzerias). The ovens date back to 1824 at this bakery – now in its third generation of ownership – and have been wowing a steady flow of locals and out-of-towners alike all the while. 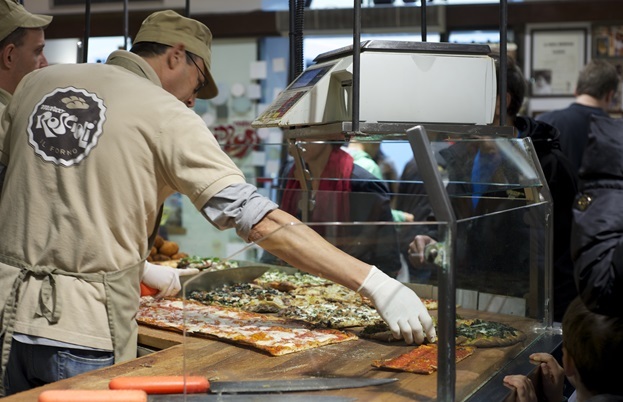 Indeed, even if you eschew the carbs, you can’t help but admire the show behind the counter as slices of pizza are chopped with lightning speed, exact precision and a thud. Fast food of the highest order, service is quick and prices (you pay by weight) are cheap (if a little dearer than less touristic pizza joints). As good as the pizza is (I went with a Margherita slice and a no-sauce pizza bianca with sausage and broccoli) there’s plenty else to enjoy, including loads of freshly made cakes, pastas and that Roman street food staple, supplì (a local variety on arancini). A relative newcomer to Rome’s street food scene is not-quite-a-pizzeria-but-kinda-close Trapizzino (Via Giovanni Branca, 88) in the hip and happening quarter of Testaccio. 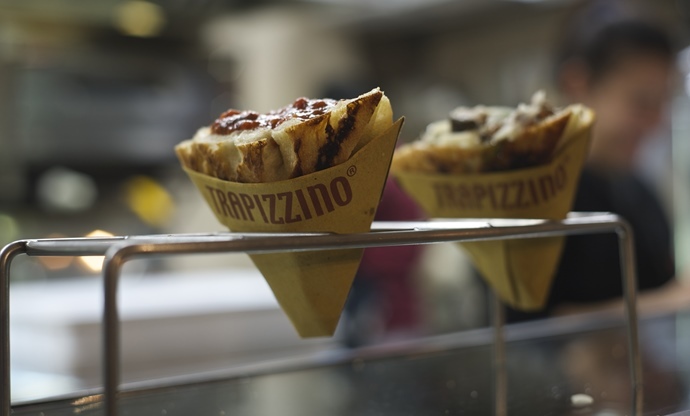 The name of this tiny shop is also the name of its only product – the trapizzino, a sort of conical pizza bianca loaded with a saucy ‘topping’, usually of traditional origin. During my dinner visit, the lingua in salsa verde trapizzino (boiled veal tongue with a green sauce consisting largely of parsley, olive oil, capers and anchovies) pretty much rocked my palate while filling my tummy, and for less than five euros. If veal tongue ain’t your thing, you’ll find a range of recipes on offer including octopus in red sauce, meatballs in red sauce, Parmigiana and more mega-meaty or veggie-only options. There’s a tasty assortment of Italian craft beers available as well. Panini may reign supreme as the king sarnie of Rome, but I was impressed with baguette sandwiches at Panepiù Bistrot (Via Florida, 21 at Largo di Argentina). 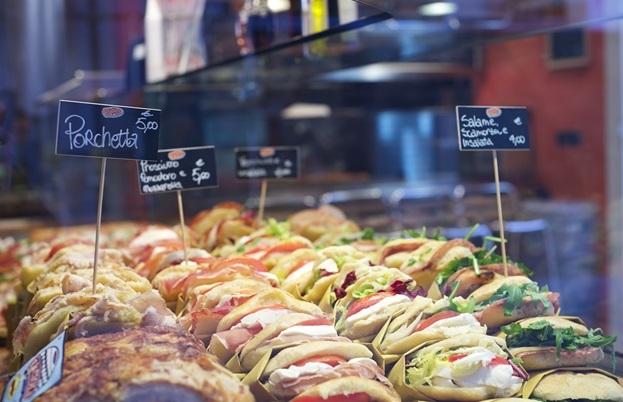 A quick, cheap (all sandwiches are under five euros) lunch consisting of a warm, freshly baked baguette packed full of typical Italian fillings really hits the spot, especially when you’re trying to make a dent in your bucket list and want a taste of some Italian flair. My speck, scamorza, dried tomatoes and radicchio sandwich certainly did the trick for me. 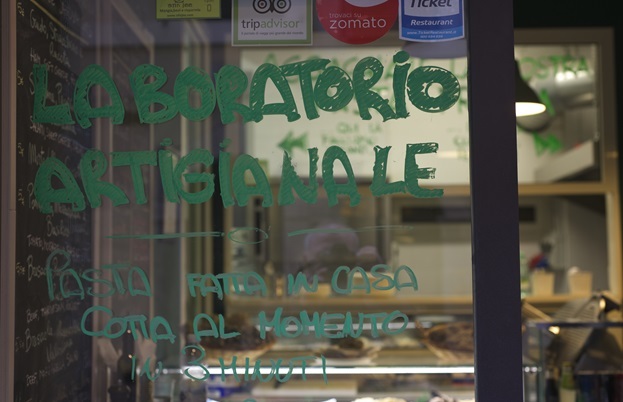 Pasta Imperiale is laboratorio artigianale on the splendidly strollable Via del Boschetto (Via del Boschetto, 112 to be exact). It speedily serves excellent home-made pasta for a quickie eat-in or takeaway. 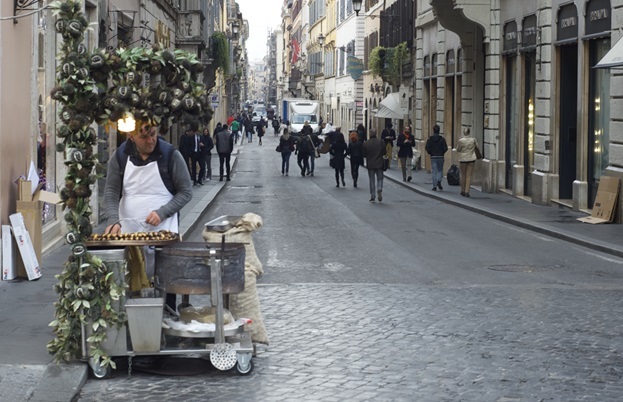 And for an on-the-go standby that I’ve yet to tire of, especially during the festive season, roasted chestnuts are all but ubiquitous on the streets of Rome. They’re fairly inexpensive too (thought the prices tend to rise the nearer you get to popular attractions and shopping areas). Enough with the savouries. That other great in-hand and on-the-hoof Italy foodie favourite is gelato. And Rome is ideal for having a taste of some of the country’s best. To be sure, there’s a multitude of quality gelaterias across the city, but the two places I tried this time round that really did it for me were Don Nino and Grom. A scoop of pear and ricotta with a scoop of Bronte pistachio from Gelateria and Pasticceria Don Nino was a splendid blend of yum, especially when topped with a dap of obligatory chocolate sauce and a biscuit. There are four Don Nino outlets in Rome; I got my scoops at the one near the Pantheon. Another satisfying cup of gelato was had at Grom, Slow Food superstars from Piedmont in the north of Italy. The gelato group does a short range of year round ‘classics’ (the fiordilatte is a personal preference) alongside a regularly changing assortment of seasonal specials. The cache (persimmon) was a winner! Grom has nine shops in Rome (including a handy dandy kiosk at Termini train station so you can – as I did – have one last treat on the train back to the airport) with many more across Italy and even a few international outlets.